ONTARIO — Legacies are a vital part of our world, and the annual Ignition Student Conference in Ontario is no exception. Nearly 1,000 students, leaders and volunteers gathered at the Ontario Convention Center Dec. 27 for the three-day event. They engaged in worship, listened to speakers, helped with mission projects and enjoyed free time, all designed to bring them closer to Christ and to be “Made Alive” in Him, theme of the 2018 Ignition. 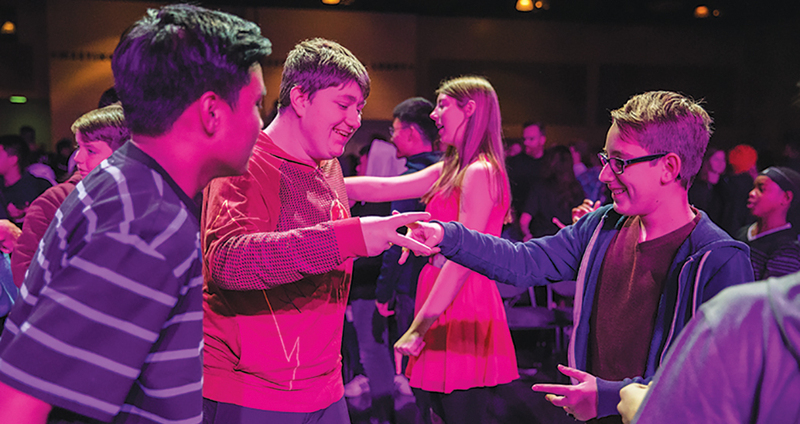 “For as long as I can remember my church has taken their youth group to Ignition and I very impatiently and eagerly waited for several years before I could go,” said Aniston Kearney, a sophomore homeschooled student. “I desired to go because I heard how much fun my older siblings and their friends had on the trip. This year was Kearney’s third. She would like to be a leader one day when she’s old enough. “Being able to see students experience Ignition like I have would be a tremendous blessing!” she said. “The biggest change I have seen in transitioning from being a student to being a leader is seeing all the work that is put in and how things work — you gain a bit more of an appreciation for the event. “I believe in this conference because of my experience as a student. I’ve seen the changes it makes in kids’ lives,” Kim said. “You build your life on what you love,” Beaty told the group. “We’ve seen an increase in students seeing a need and being willing to sacrifice for a cause that is bigger than themselves,” she explained.